Shahid Madani or Vanyar Dam is being construction on Aji Cahy River, to the north of Tabriz. It has been built on the upper red formation of Miocene. This lithology generally consists of sandstones, conglomerates, clays, and gypsum. Salt domes are also located underneath the reservoir area behind the dam. The slopes beside the reservoir are not stable. Unexpected events, such as subsidence, could occur after the reservoir is filled causing destruction to infrastructure. However, the most serious event could be the infiltration of water into the Tabriz fault. This fault has not been reactivated for over 220 years and it is thought that the infiltration of water from the reservoir could cause the two sides of the fault plane to move. It is thought that the displacement of the fault could cause an earthquake of more than 6.5 on the Richter scale. To try and prevent this fault reactivating, filling of reservoir is proposed to be undertaken gradually. Dams were first constructed more than 5000 years ago and the regulation of rivers for water security has been at the heart of the advancement of human civilizations. Huge artificial water reservoirs are created all over the world for generation of hydroelectric power, flood control and irrigation purposes. Triggering of earthquakes by artificial water reservoirs was for the first time pointed out by Carder (1945) at Lake Mead in the United States of America. Damaging earthquakes exceeding M 6 occurred at Hsinfengkiang, China in 1962; Kariba, Zambia–Zimbabwe Border in 1963; Kremasta, Greece in 1966; and Koyna,India in 1967. The December 10, 1967, Koyna earthquake of M 6.3 is so far the largest and most damaging reservoir triggered earthquake. It claimed about 200 human lives, injured about 1500 and rendered thousands homeless. Civil works at Koyna town suffered major damage. The Hsinfengkiang and Koyna earthquakes caused damage to dams themselves. 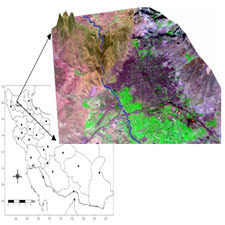 Other reservoir triggered earthquakes such as those at Kariba, Zambia; Kremasta, Greece; Oroville, CA; Aswan, Egypt; and Srinagarind, Thailand caused damage in nearby towns and villages. The occurrence and potential of triggered earthquakes has caused major modifications of civil works and engineering projects indeed the possibility of triggered seismicity was one of the major factors in terminating the construction of Auburn Dam in California (Allen, 1978). شهید مدنی یا سد وینیر در حال ساخت و ساز در رودخانه آجی کوهی به شمال تبریز است. ساخته شده است در تشکیل قرمز بالا از میوسن ساخته شده است. این سنگ شناسی عموما از ماسه سنگ، کنگلومرا، خاک رس و گچ تشکیل شده است. گنبدهای نمکی نیز در زیر مخزن پشت سد قرار دارند. دامنه ها در کنار مخزن پایدار نیستند. حوادث غیرمنتظره، مانند فروپاشیدن، ممکن است بعد از اینکه مخزن پر شده است، باعث تخریب زیرساخت ها شود. با این حال، جدی ترین رویداد می تواند نفوذ آب به گسل تبریز باشد. این خطا برای بیش از 220 سال مجددا فعال نشده است و تصور می شود نفوذ آب از مخزن باعث می شود که دو طرف هواپیما گسل حرکت کنند. تصور می شود که جابجایی خطا موجب ایجاد زلزله بیش از 6.5 در مقیاس ریشتر شود. برای جلوگیری از این واکنش مجدد گسل، پر کردن مخزن پیشنهاد می شود که به تدریج انجام شود. سدها اولین بار بیش از 5000 سال پیش ساخته شده و تنظیم رودخانه ها برای امنیت آب در قلب پیشرفت تمدن های بشری بوده است. مخازن آب مصنوعی بزرگ در سراسر جهان برای تولید نیروی برق آبی، کنترل سیل و اهداف آبیاری ایجاد می شوند. راه اندازی زمین لرزه ها توسط مخازن آب مصنوعی برای اولین بار توسط Carder (1945) در Lake Mead در ایالات متحده آمریکا اشاره کرد. آسیب زدن به زمین لرزه بیش از M 6 در Hsinfengkiang، چین در سال 1962 رخ داده است؛ کریبا، مرز زامبیا-زیمبابوه در سال 1963؛ کورمستا، یونان در سال 1966؛ و Koyna، هند در سال 1967. در تاریخ 10 دسامبر 1967، زمین لرزه Koyna M 6.3 تا کنون بزرگترین و مخرب ترین مخزن باعث زمینلرزه است. این حدود 200 زندانی بشر را زخمی کرد، حدود 1500 نفر زخمی شدند و هزاران نفر بی خانمان شدند. کارهای عمرانی در شهر کویینا آسیب جدی را متحمل شد. زمین لرزه های Hsinfengkiang و Koyna باعث آسیب به سدها شد. مخزن دیگر باعث زمین لرزه هایی مانند کریبا، زامبیا شد. کرمستا، یونان؛ اورویل، کالیفرنیا؛ اسوان، مصر؛ و Srinagarind، تایلند آسیب را در شهرهای و روستاهای نزدیک ایجاد کرد. وقوع و پتانسیل زلزله های ناشی شده موجب تغییرات بزرگی در پروژه های عمران و پروژه های مهندسی شده است، در حقیقت احتمال لرزه خیزی باعث یکی از عوامل مهم در پایان ساخت سد آبرن در کالیفرنیا شد (آلن، 1978).